We’re very minimal when it comes to baby things. Everytime our son outgrows his clothes, we donate them. We have carriers instead of a stroller (convenient, considering that we live on the 6th floor of a walkup building). We do have a stroller, which was a gift that we often use when walking at the building’s deck. I breastfeed, so we don’t have bottles, pumps, sterilizers, etc. We use cloth diapers, which are environmentally friendly and cost-effective. We also co-sleep, so we never had a crib. What I swear by, though, was getting a playpen. We got the BABY1st playpen when our son was almost four months old, and kept it for future use. Keeping him on our bed and the fully reclining stroller stopped being safe for him when he learned how to sit and kick even the heaviest of our pillows. That’s why last weekend, now that our son has started to stand on his own by holding on to edges, we decided to put up the playpen. It’s a square 130cm x 77cm x 91cm. 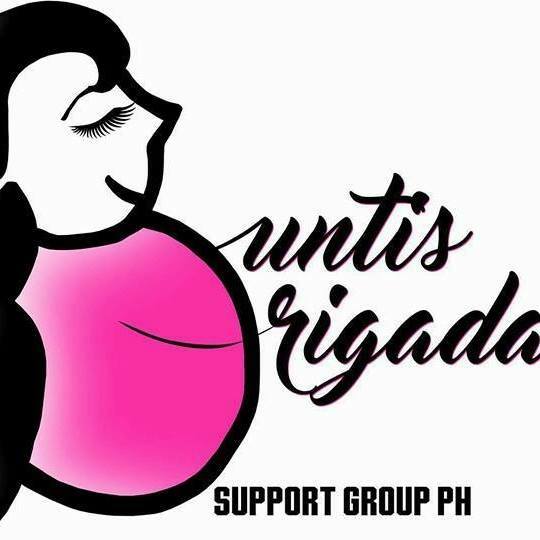 We got it from Baby Company at SM Makati. It has three colors: red, apple green and blue. We wanted the green one, but unfortunately it was the last piece and was on display. They only had red in stock. Here's the playpen during assembly. One thing I love about it is that it has a mat that you can zip in. Unlike other bulky play pens where it’s just the fence that you put on your floor and baby can push it around, this one stays. The panels are made up cloth and metal that is covered with cushions, so there’s no need to worry that your baby will bump and hurt himself. We just added extra cushions inside the playpen for safety. As for washing, you can unzip the covers. Yes, even the panel covers. I popped them in the washing machine and it was a bad idea. It ruined the stitches (but I fixed them already). It’s best to wash them by hand. If you’re thinking of buying a playpen, I recommend this one. It’s big enough for baby and a parent. I just slept with my son in it yesterday. Me and my son, celebrating his 7th month. For more products of Baby Company, check out the links below. Even the dad. Lol. Kapag nakaupo kami lahat. Looks really nice! If we will ever need a playpen in the future, I will surely consider this one. So cute knowing your little one even shared his playpen with his mom. I agree with you, children can accumulate too much stuff if we let them that it is best to be minimal + keep their things to a minimum. 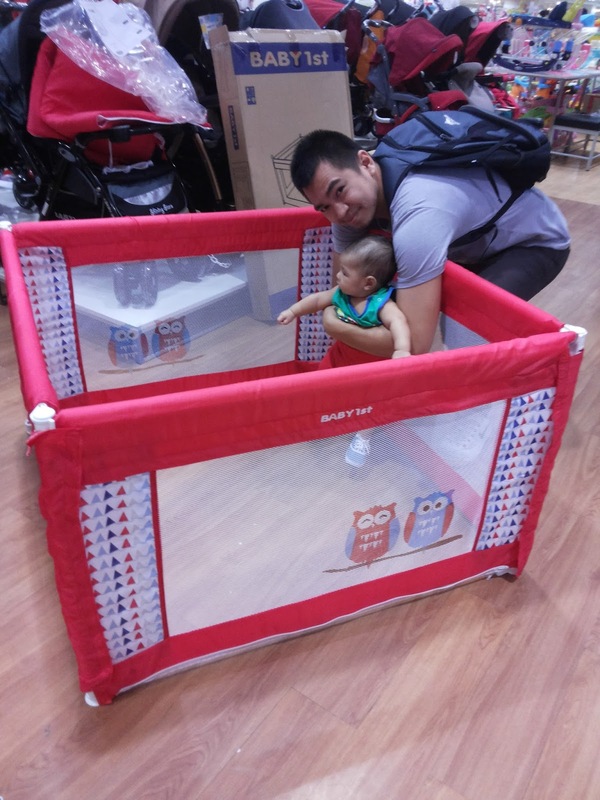 Playpen is a great idea, as children can use these for years after they have outgrown their cribs. 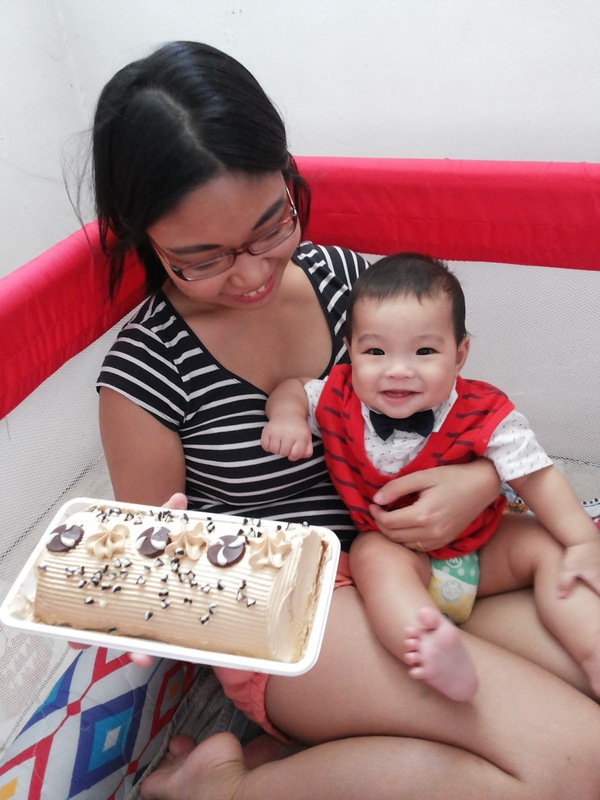 Happy 7 months cutie baby! 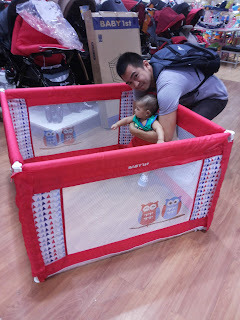 We both have crib and playpen but our son don't like to be put inside unless he's accompanied with me or hubby. Our playpen serves as toy storage instead hehe. Ayan na nga kasama ako. Hahaha. Such clingy babies they are. Very useful pa rin di ba? Even when they don't like being in it. I sometimes slept with my son too in his playpen. We've only used his' for few months. 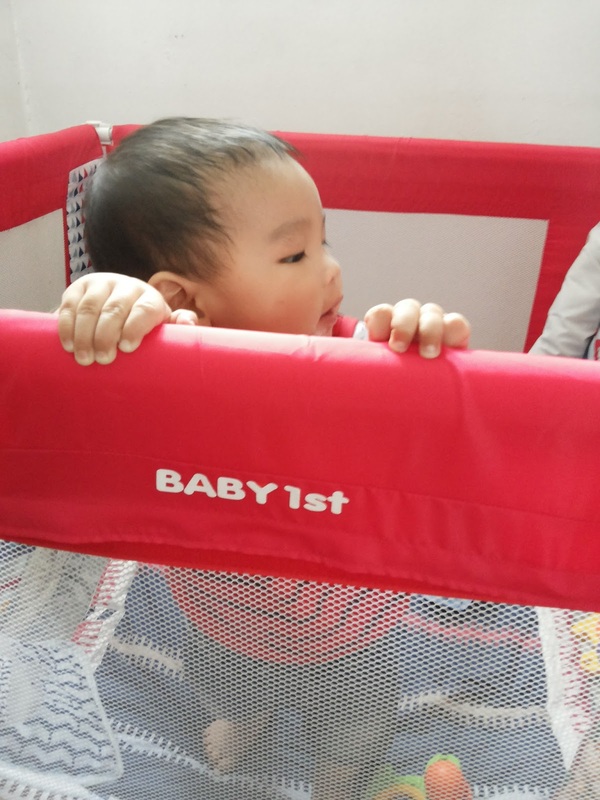 When he learned his first step he started disliking his playpen. Keeping it safe so he can use it in the future when playing. My little girl only has a crib which wasn't used as much since we co-sleep. Happy 7 months to your tiny human! The not-so-tiny tiny human says thank you. He'll be 8 months this march. Ang bilis!